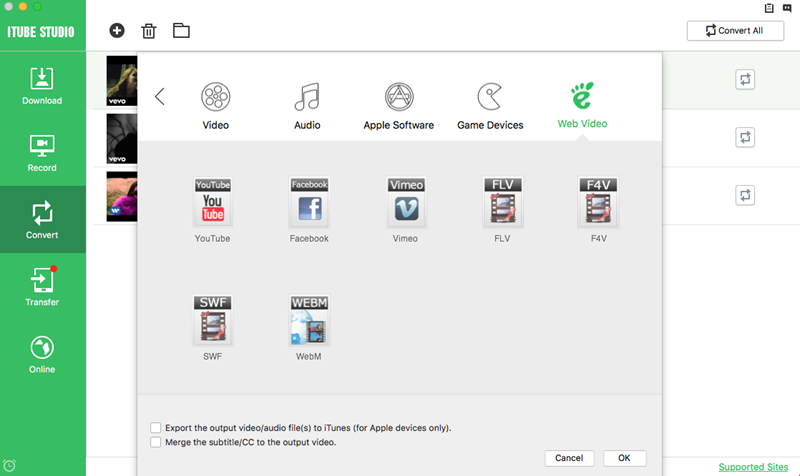 iTube Studio for Mac allows you to convert the videos to web supported formats. You can convert and upload video to YouTube Facebook, Vimeo, and more. 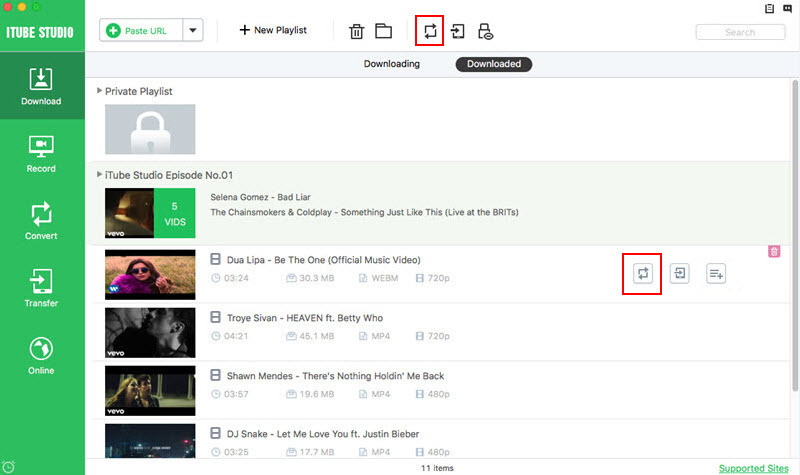 To convert downloaded videos, you can open the "Download" tab and select the video to "Add to Convert List". 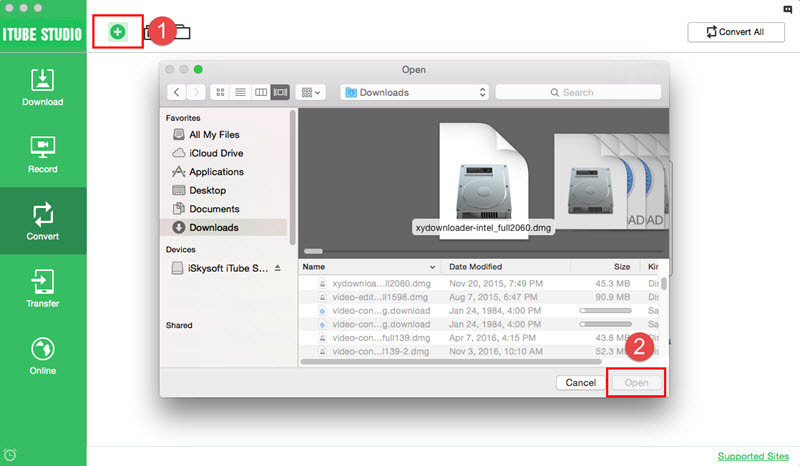 To convert local videos, you can simply drag and drop the local videos to the "Convert" tab. Or you can click the "+" icon to select the local videos and import it to the program. And click on the “Convert” button to open the conversion window. And then open the “Web Video” tab to choose YouTube Facebook, Vimeo and others as the output format. Click “OK” to start conversion. The default output path will be used. You can change it to you own in Preferences > Location. In the primary window, you can monitor the conversion process, including Pause, Cancel, and Resume.